Folic acid, sometimes called vitamin B-9 or folate, is a water-soluble vitamin in the B-complex family. Everyone needs a diet that includes folic acid, regardless of whether or not they are pregnant, as folate deficiency can cause serious health problems. However, adequate intake of folic acid is considered especially important for women of childbearing ages. As many as a third of North American women may not get adequate folic acid from their diets, despite the fortification of grain products with the nutrient. There is a large body of research showing that moms with adequate intake of folic acid before pregnancy have a 50 percent to 70 percent lower risk of having a baby with neural tube defects. The neural tube closes by the 28th day after conception, or right around two weeks after your missed period, so in many cases, the critical time period may have passed before you even learn that you are pregnant. Because so many pregnancies are not planned, the CDC recommends that women of childbearing ages make sure to consume at least 400 micrograms (mcg) of folic acid each day—and that those planning a pregnancy should make sure they are getting that amount for at least three months before pregnancy. This level of intake can easily be achieved by taking a prenatal vitamin (or any other multivitamin with at least 400 mcg of folate), but it is also possible to get enough folic acid in your diet without supplements if you are careful to choose folate-rich foods. If you have had a baby with a neural tube defect in the past, your physician may advise that you take even more than 400 mcg of folate per day for some time before you get pregnant again. Talk to your physician about what makes sense for your circumstance. Even though the critical time period for neural tube defects is before you find out you are pregnant, that doesn't mean folic acid is worthless if you are already pregnant. It remains an important nutrient for optimal cell division and growth, making the reasons to take it during pregnancy all the more obvious. In addition, there has been some evidence that folic acid might reduce the risk of other birth defects as well, and that moms with low folic acid might also have a higher risk of miscarriage, placental abruption, and preterm delivery—possibly because of the relationship between low folic acid and homocysteine levels. But Isn't Too Much Folate Risky? There is not really a known upper limit for how much folic acid is safe, but doctors sometimes advise women to keep intake of folic acid under 1000 mcg per day, thanks to a few reports that excess folic acid supplementation might be associated with a slightly increased risk of wheezing and other respiratory problems in the baby. 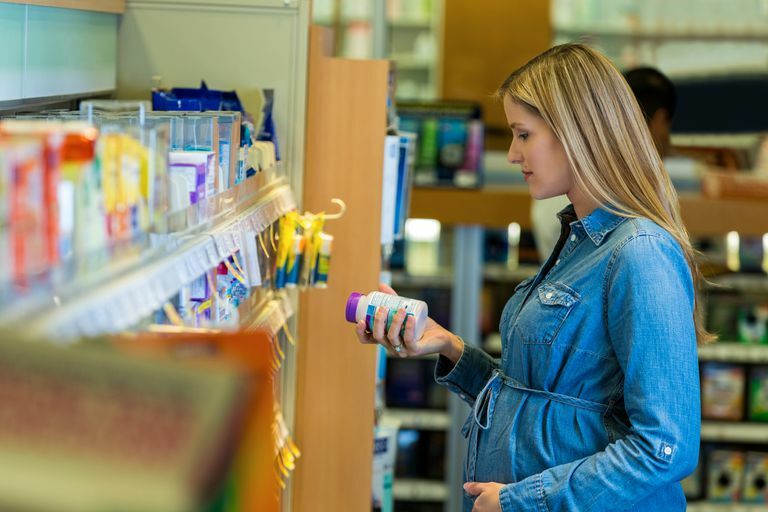 There is still far more evidence in favor of using folic acid supplementation than evidence against it, but these findings do show that keeping within the recommended limits may be a good idea. Callaway, Leonie, Paul B. Colditz, and Nicholas M. Fisk. "Folic Acid Supplementation and Spontaneous Preterm Birth: Adding Grist to the Mill?" PLoS Med 2009 May; 6(5): e1000077. Håberg, S E, S J London, H Stigum, P Nafstad and W Nystad. "Folic acid supplements in pregnancy and early childhood respiratory health." Archives of Disease in Childhood 2009;94:180-184. Scholl, Theresa O. and William G Johnson. "Folic acid: influence on the outcome of pregnancy." Am J Clin Nutr. 2000;71(suppl):1295S–303S. Sherwood, Kelly L, Lisa A. Houghton, Valerie Tarasuk and Deborah L. O'Connor. "One-Third of Pregnant and Lactating Women May Not Be Meeting Their Folate Requirements from Diet Alone Based on Mandated Levels of Folic Acid Fortification." J. Nutr. 2006 136:2820-2826.